RecycleBank®, the leading social connection and engagement platform that motivates individuals to take positive environmental actions, announced today that veteran marketing and innovation executive Javier Flaim has joined the company as the global marketing senior vice president. Flaim was most recently partner and executive vice president of innovation at Maddock Douglas, a world-renowned innovation consulting firm, where he was responsible for helping both Fortune 50 and startup organizations develop and launch industry-changing products and services. An accomplished marketing expert, Flaim brings almost 20 years of marketing, communications, innovation and consumer insights experience to RecycleBank, and will be focused on helping to translate RecycleBank's local community impact to a broader, digital audience. 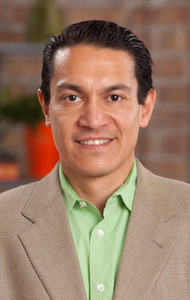 "We are thrilled to be able to attract an industry expert like Javier to RecycleBank," said RecycleBank CEO Jonathan Hsu. "Javier's proven track record with innovation, marketing and communications will be a critical asset in helping us rapidly scale our efforts to create the first hyper-local community platform that connects people's online and offline lives to drive positive environmental actions." RecycleBank motivates and enables individuals to make a collective, measurable impact on the environment and their local communities. By educating and mobilizing its community of eco-engaged consumers online and offline, the company is working toward a more sustainable future through increasing household recycling, reducing household energy usage and motivating people to take other environmentally preferred actions. "RecycleBank has built an impressive community of engaged members who are motivated to make a positive impact on the environment, both in their local municipalities and on a global scale," said Flaim. "I'm energized by the opportunity to help scale, grow, and attract significant new members. Working with the great team at RecycleBank, I'm confident we'll be able to innovate and introduce new products and services that will have a positive, measurable impact on our members, our Fortune 500 marketing partners, and our more than 300 participating cities and municipalities in the U.S. and U.K."
Flaim's addition to the leadership team comes at an important time for RecycleBank. The company has made a tremendous positive impact on the environment to date, helping to double-even triple-recycling rates in more than 300 diverse communities across 29 states and in the United Kingdom. In 2010, RecycleBank expanded its recycling rewards program to more than 50 communities, launching in major cities such as Chicago, Cincinnati, Houston, Los Angeles and Philadelphia. Residents in RecycleBank communities have recycled more than 350,000 tons of material in the last year alone, and 550,000 total tons since 2005. RecycleBank is expanding its mission to a global level, using the digital medium to grow its community, deepen engagement among members and build meaningful marketing partnerships with brands such as Procter & Gamble, Coca-Cola, Nature Made, Kashi and Yoplait. As part of this initiative, the company will launch a new RecycleBank.com website on Jan. 31, which includes a significant new set of member product and service benefits, including a streamlined registration process, additional points/rewards earning opportunities, and enhanced search, sort and transaction shopping functionality. RecycleBank is also rapidly expanding its successful suite of product offerings, including Learn & Earn, an interactive digital tool that rewards people for increasing their Eco IQ; Points for Planet, a points on packaging program that encourages consumers to recycle and discover a second life for packaged goods; and RecycleBank Insiders, the company’s proprietary network of green and mommy bloggers. RecycleBank® is the leading environmental social platform that realizes the collective impact of individual action. Through its digital offerings and partnerships with municipalities, haulers, small businesses and corporate brands, RecycleBank incentivizes green actions with points that can be redeemed for discounts and rewards. By educating, engaging and empowering its community online and offline, RecycleBank aims to encourage a more sustainable lifestyle by increasing household recycling, reducing household energy usage and motivating individuals and communities to take other environmentally preferred actions. Recognized as a Technology Pioneer by the World Economic Forum, a Champion of the Earth by the United Nations Environment Programme, and for Outstanding Excellence in Public/Private Partnerships from the U.S. Conference of Mayors, RecycleBank is headquartered in New York City. For more information, visit www.RecycleBank.com. Before joining RecycleBank, Javier Flaim was Partner, EVP of Innovation at Maddock Douglas, a leading marketing and innovation consulting firm where he still holds a seat on the Board of Advisors. Previously, Mr. Flaim was CEO of Markitecture (sold to Maddock Douglas in 2008), Vice President at Hill Holliday Advertising and Director at Wheelhouse, a CRM and Marketing Consulting start-up funded by Silicon Valley venture firm Kleiner Perkins. Mr. Flaim also held senior positions at Yankelovich (now The Futures Company, part of WPP Group) and Copernicus, two renowned marketing research and insights firms. Mr. Flaim holds a MBA from the Wharton School of Business at the University of Pennsylvania and a BA degree from the University of California at Berkeley.